Presented here on 2CDs are four and a half original LPs by The Four Freshmen released between 1959 and 1960. 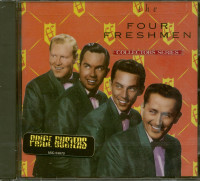 The half is side two, 6 titles from the 1959 LP 'Freshman Favourites Vol 2'. 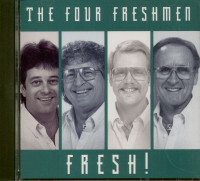 Side one of 'Freshmen Favourites Vol 2' can be found on our previous compilation of Four Freshmen LPs (Jasmine JASCD 844) which contained 4 earlier complete Capitol LPs. 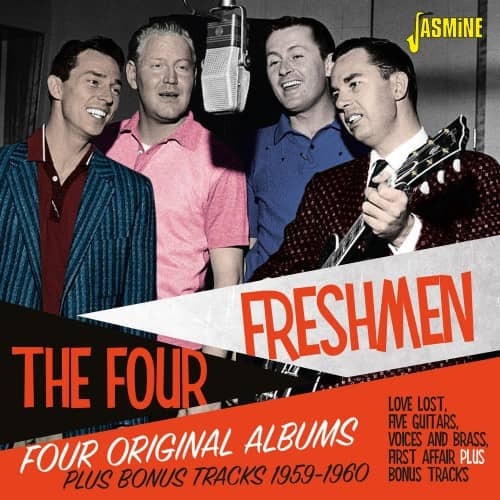 Features the albums: Love Lost, Four Freshmen and Five Guitars, Freshmen Favourites Vol. 2, Voices in Brass and First Affair. Fully detailed liner notes. Customer evaluation for "Four Original Albums Plus Bonus Tracks 1959-1960 (2-CD)"